When you're gaming, you want no-holds-barred performance. Anything less is just plain less. So go for the gaming headphones engineered in collaboration with the game designers themselves. Polk's new Melee gaming headset is the result of the first-ever collaboration between the sound engineers of today's most awesome games and the audio experts at Polk. 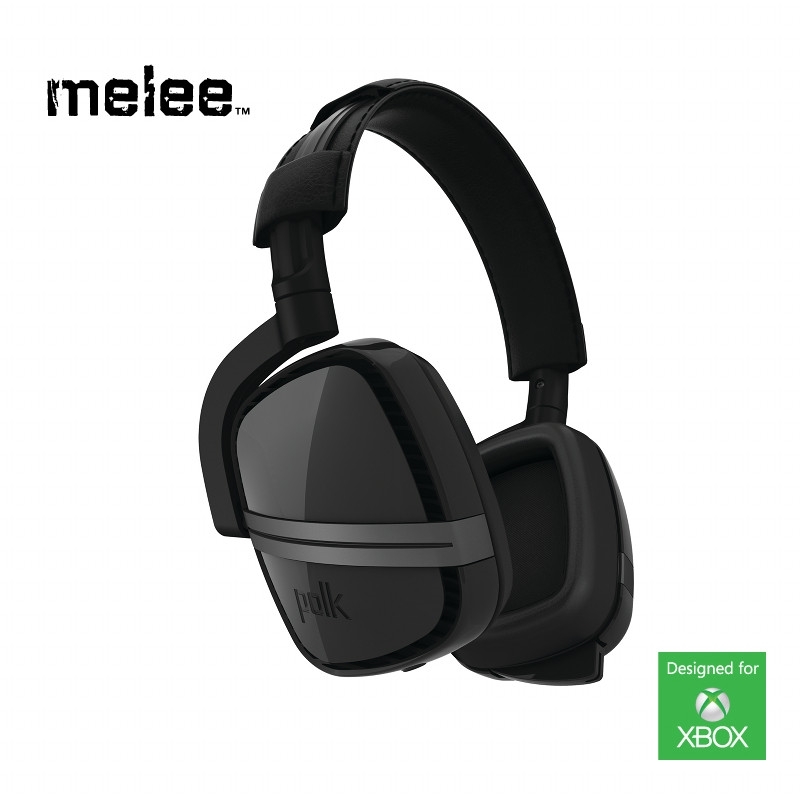 Designed to be the only headphone system you'll need for gaming, music and chat applications, Melee merges comfort with performance and strikes out in a whole new audio direction. Working with the audio experts at Polk, the sound engineers of the best-selling games Halo and Forza Motorsport created four optimized gaming EQ settings for the Melee Headphones. These four unique immersion modes, "Forza Racer," "Halo FPS," "Music" and "Cinema," deliver maximum performance and more thrilling listening experiences at the touch of a button. We're gamers, and we work with gamers, so we know what you want when it comes to gaming audio. You want fast response, big impact and all-around realism. Get it now, with Melee Xbox 360 Gaming Headphones! Compatible with Xbox 360, smartphones & tablets: take calls with the touch of a button. Tailor your audio experience with four Immersion Modes (Forza Racer, Halo FPS, Music and Cinema). Polk's exclusive thumb-reach Audio Mixer lets you adjust modes and listening levels instantly without taking your hands off your controller. Melee delivers the best headphone experience possible, thanks to Polk's 40 years of innovative high performance experience. All Polk products are made using the best materials and the most advanced manufacturing techniques. They pass the industry's most exhaustive quality tests, and are built to perform for a lifetime.